These luxurious ring slings are made in the USA with the versatile CJ Hybrid Shoulder, which allows wearers to spread the sling fabric wide to hug the shoulder, virtually eliminating pressure points, or gather the shoulder fabric narrowly, maximizing freedom of movement for the ring-side arm with very little bulk. We have tested the CJ Hybrid Shoulder with wearers of different builds, and we think you will love it. 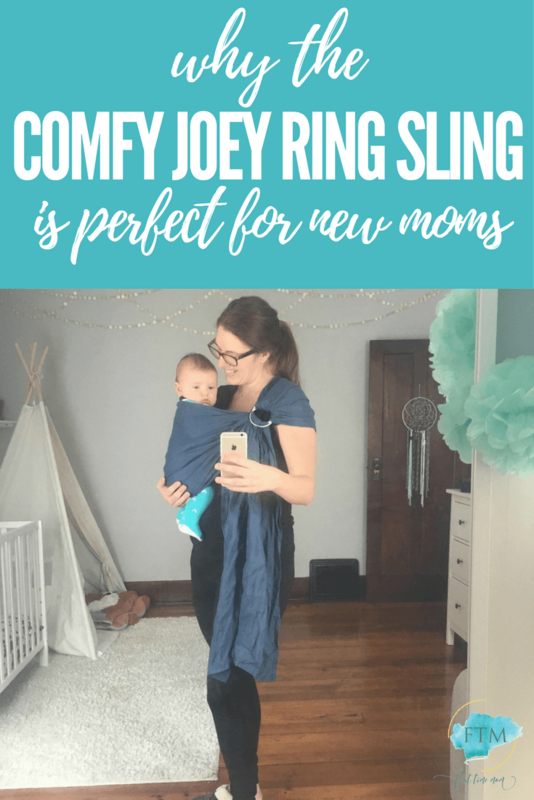 As a mom who enjoys baby wearing but has never used a ring sling, the Comfy Joey ring sling was a great first experience. 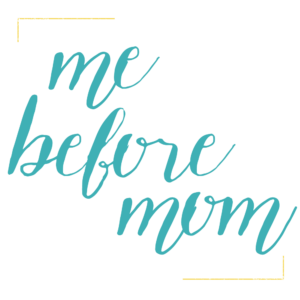 Not only was it super easy to learn, I was able to access online tutorials which helped me figure out exactly how to wear it and adjust it for my children. 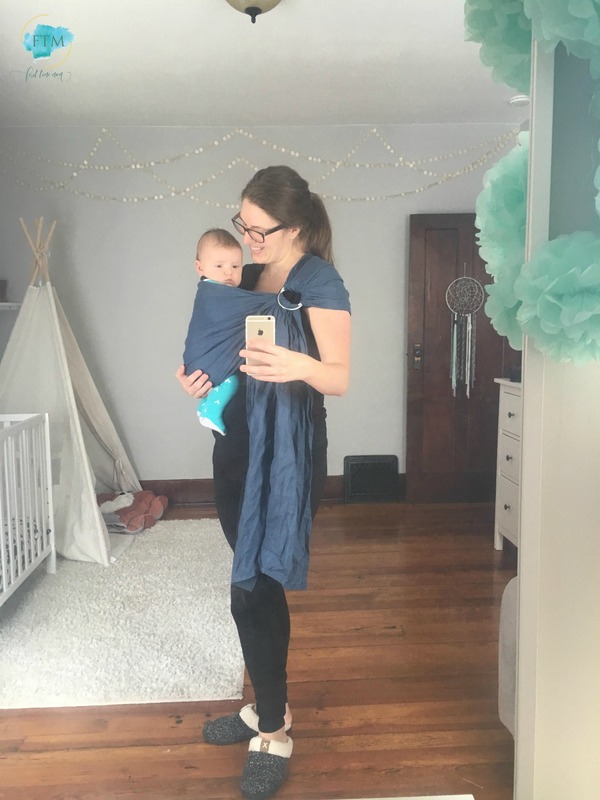 I’ve used it both for my newborn and my toddler and it’s incredibly comfortable. Although it took a little bit of practice to put on the correct way and get lined up over my shoulder, once I figured it out I could wear it no problem. I think my favorite part is that it’s compact so I’m able to store it in a small wet bag and throw it in my car or diaper bag! Beautifully made: When I first received my sling I wasn’t sure how the quality would be. I was impressed that it was such a beautiful linen. The color is vibrant, the stitching is spot on, and it’s durability makes me believe this will last a lifetime. Great size options: (I’m using a medium and I’m 5’9) One thing I was worried about was the amount of fabric there would be. I was pleased to find out that the different sizing options allowed me to decide for myself how much “tail” I wanted. I chose the medium so the tail would be slightly shorter and I’m happy with my choice. Comfortable: Having my child so close to me while baby wearing was a HUGE plus. They both feel very secure and I don’t feel a ton of strain on my back like I do when I’m using other carriers. Given my back issues (scoliosis), I’ve found that wearing the sling to one side is more comfortable than the other and it actually relieves my back pain. This allows me to baby wear longer! Troubleshooting in the beginning: I was totally lost when it came to using a ring sling. Thankfully, on the inside of the Comfy Joey ring sling tag, it gave some ideas on ways to wear it. 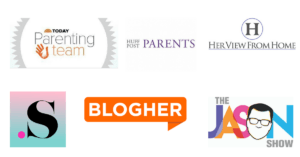 There are also tons of online video tutorials which were helpful when it came to the basics. 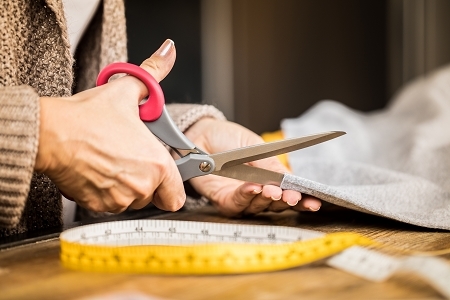 Fabric: Depending on the season, the fabric may be less breathable and make you and baby feel hot. I definitely noticed that on some of our hot fall days. Using the sling in the cold winter months however, was perfect! Not a lot of air could pass through and baby stayed snug and warm. Overall, I am very happy with this ring sling. Every time I wear it, I learn more about using the ring sling and it gets easier every time! PS: A Comfy Joey Ring Sling would be a beautiful gift for a new momma! Comfy Joey has a long history of producing high quality slings with impeccable quality. Comfy Joey was founded in 2005 by company owner and Mom of four, Ayesha Ghatala-Shoaib. 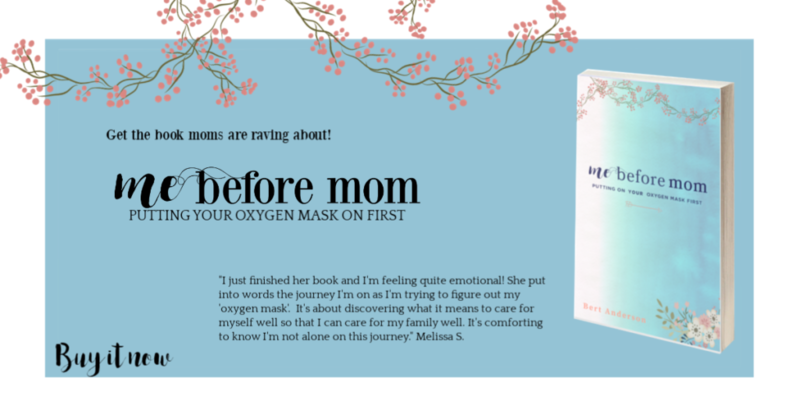 After the birth of her second child, Ayesha discovered that she needed a better way to carry her baby, whom she fondly referred to as her Joey, and the company was born. Comfy Joey Slings are handmade in the USA in Boise Idaho and feature a series of pleats and folds that spread across the shoulder, giving it a huge for ultimate comfort. This shoulder, known as the CJ Hybrid maximizes freedom of movement for the ring-side arm with very little bulk. With many years of great customer reviews, we are sure you’ll love it too. 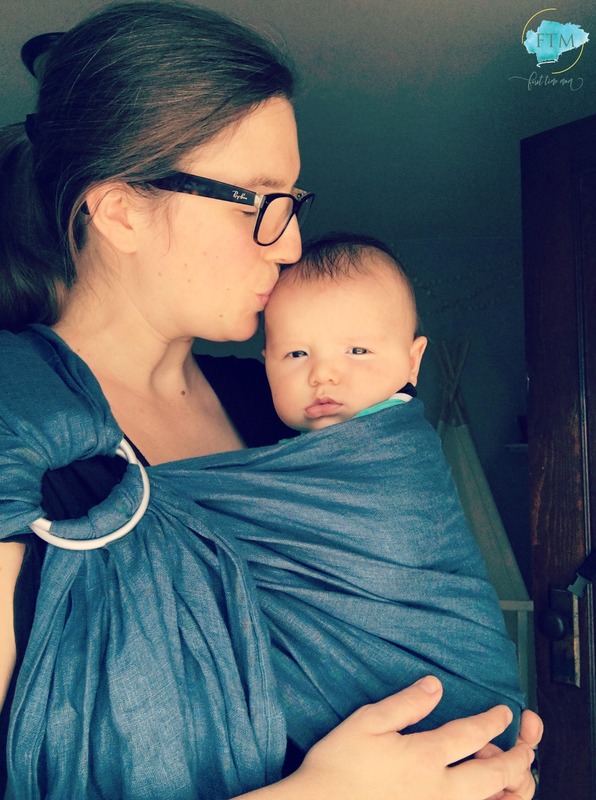 Search social for #ComfyJoeyLife to see how others love and use their Comfy Joey Ring Slings. Visit ComfyJoey.com to shop. Megan Zars is a mom of two boys who are 18 months apart. She lives in Michigan with her husband Jacob and works in marketing for a non-profit organization. When she isn’t keeping up with her active boys she’s tending to her garden, teaching dance lessons, and running her online health business.